When I make another wordcount with CATCount, the information in CATCount Notes is not refreshed. How can I solve this? Q. When I make another wordcount with CATCount, the information in CATCount Notes is not refreshed. How can I solve this? A. Please run the program in administrator mode. 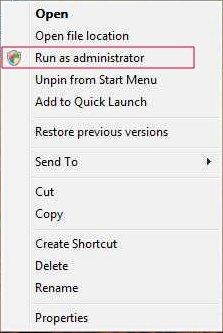 For this, right-click the shortcut and select Run as administrator. You can also go to Properties >> Compatibility and check the "Run as Admininstrator" option.